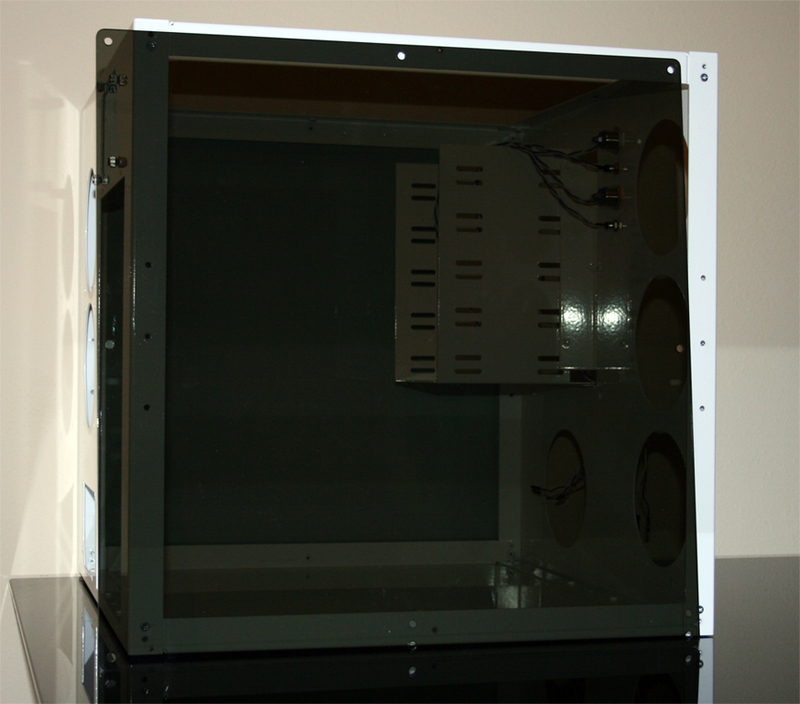 Replacement panel for U2-UFO - 3 panel version cases. The panel is made from 1/8th inch acrylic. It is approximately 17.875 x 17.875 inches with rounded edges and 8 mounting holes. Perfect for doing your own custom modifications to a U2-UFO or adding to your own custom case.